How do I find a house in Libya? There are a number of ways you can locate your new house in Libya. Libya has many small real estate offices around each city. These agents normally have a few houses and apartments that they can show you. Make sure that you tell them exactly what you are looking for before you set out looking for houses. If you rent one of their properties, you will need to pay them their service fee. Perhaps one of the best ways to find a house, is to talk with your friends and their connections. Since Libya seems like one large community, your friends may be able to help you find an available place at an economical rate. Through networking with family friends, many doors will be opened to you. If you have time, you may want to just walk the streets and ask people you meet. Shop owners and barbers are a great place to gain information about available housing. Some of these contacts will be expecting something if you find a house through them and some will just do it for free. 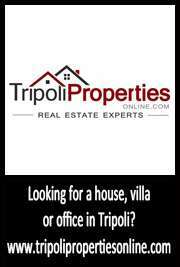 Libya now has a few websites that advertise available houses and apartments. Some of the listings are not current, but you might be able to find some leads through these websites.